The Cadillac XT4 invoice price and the true dealer cost are not the same. Note: The Cadillac XT4 pricing report below does not include rebates or incentives. 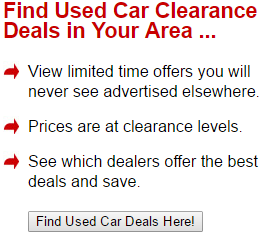 View Cadillac Rebates Here. 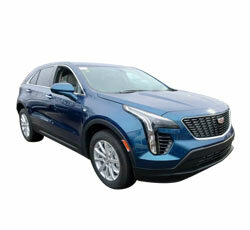 If you were looking for an affordable way to dip your toe into the compact luxury SUV waters, the 2019 Cadillac XT4 is the way to go. With a fuel-efficient engine and no complaints of legroom, the new XT4 has plenty to offer, but don't worry. You aren't going to confuse this beauty for anything but a Cadillac. The new line from Cadillac can seat five passengers and comes with a 2.0L four-cylinder turbocharged engine, like others in its segment. Unlike the others, though, the XT4's engine can produce 237 horses. The standard powertrain is front-wheel drive with a nine-speed automatic, but you have the option to swap to all-wheel drive. Most of Cadillac's rivals have standard all-wheel drive, but the XT4's front-wheel drive has stronger fuel economy. Finally, Cadillac outfits its new model with its latest 8-inch infotainment system. That means XT4 drivers get access to Apple CarPlay and Android Auto. You won't get as many touch-sensitive controls as you would with other Cadillacs, either, which means more natural interaction. These features in combination with an inexpensive base trim make the 2019 Cadillac XT4 a top pick for the segment. The 2019 Cadillac XT4 is a brand new line. Right out of the gate, Cadillac impresses with the XT4's affordable starting price and ample legroom. Standard smartphone integration is also a pro for the model. Unfortunately, some luxury features one would think are standard aren't. The brand-new 2019 Cadillac XT4 is a compact crossover SUV with an attractive price. Still, the base trim doesn't have some features that would be standard for competitors. Because of that, it's a good idea to start your search at the Premium Luxury tier, where you'll find upgrades like a power liftgate, leather upholstery, and automatic dimming mirrors. You still have to add the Tech package on top of that to get the adjustable steering column. Likewise, you will need the Comfort and Convenience package to get the improved driver and front passenger seats. There are three choices of trims for the 2019 Cadillac XT4: Luxury, Premium Luxury, and Sport. The base Luxury has plenty of phone integration and entertainment features to keep the passengers happy, but there's a lot it doesn't have. Premium Luxury and Sport offer precisely what they label on the tins; the former gets more leather while the latter gets more bolstering. No matter which trim you get, you'll have a 2.0L four-cylinder turbocharged engine with standard front-wheel drive and optional all-wheel drive. Coupled with a nine-speed automatic, the engine will produce 237 hp and 258 lb-ft of torque. Luxury is the base trim level that, despite lacking some expected features, comes with a decent amount of bonuses. Aside from LED headlights and 18-inch wheels, you will get keyless entry, keyless ignition, and power-adjustable front seats as standard fare. The dual-zone climate control and remote start offer convenience, while the simulated leather upholstery offers the luxury. As far as technology goes, Luxury offers plenty: smartphone integration, Bluetooth connections, and a seven-speaker sound system. Going up to the Premium Luxury will get you more convenience options, like automatic wipers, a rear cargo shade, ambient interior lighting, and a power liftgate. Not only that, but you will also get several driver safety aids, like blind-spot monitoring, parking sensors in the front and rear, and a vibration warning for the driver. Further up the ladder is the 2019 Cadillac XT4 Sport, which has equipment like the Premium Luxury trim, but with black trim accents. Inside, the Sport cabin has an exclusive steering wheel, simulated leather upholstery, and sporty driver and front passenger seats. The Premium Luxury and Sport trims have more options available to them. Both can access the Comfort and Convenience package, which provides the XT4 with leather upholstery for the Sport, a hands-free power liftgate, and massage capabilities. The Enhanced Visibility package comes with more cameras for safety, including one embedded in the rearview. For more technology, like a heads-up display, a digital gauge, and wireless device charging, there is the Technology package. Finally, the Driver Awareness package has even more safety features for the top two trims. With this package, you get lane keeping assist, a follow distance indicator, and the option to add front and rear automatic braking. The 2019 Cadillac XT4 comes with a 2.0L turbo engine capable of generating 237 horses, matching most of its class competitors. With the optional suspension tuning, you'll have better handling on the road, but you're limited to the 20-inch Sport. Two-way lumbar and eight-way power adjustment gives even the base trim drivers comfort. Even still, you can further upgrade these seats to warm you in the cold and also give a massage. Cadillac's new line falls squarely in the center as far as available cargo space. Tacking on the tow package gives you the ability to lug around 3,500 pounds, which is also average for the segment. The materials look and feel like what you would expect from other Cadillac models, which means they're engaging but not exciting. Cadillac has a reputation for making frustrating entertainment systems, but the 2019 Cadillac XT4 offers plenty of improvement. Now, you can use your smartphone and also take advantage of Near Field Communication. 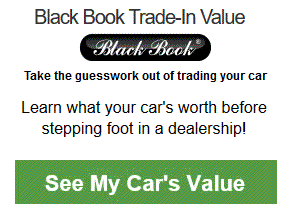 Example: Base Cadillac XT4 invoice price + the dealer Invoice price of options + destination - Holdback = Total Dealer Cost. Note: All Cadillac XT4 MSRP, invoice and dealer cost dollar figures above are approximate amounts. Prices are subject to change without notice.